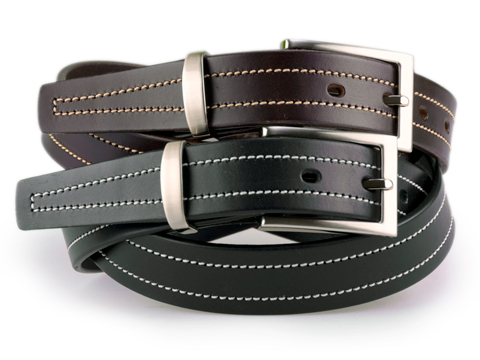 This belt is a classic casual/formal/business wear belt. It is 30mm (1¼″) wide feathered edge strap made from high quality Italian leather. It has a featured bold contrast stitch 6mm (¼″) from the belt edge. The shape of the buckle is designed to reduce wear and tear on the belt surface. It has a brushed black nickel finish. This will ensure long durability of the product. It comes as standard with a metal belt loop.